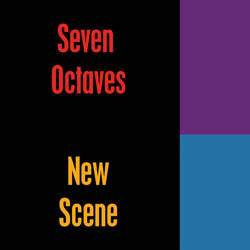 Seven Octaves: KRAKLI Synths - go grab one! Today is Ian Webster's birthday - designer of Krakli Synths. 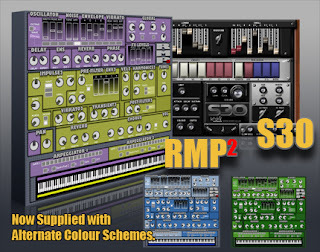 If you think guys who make high-end vsts available for free are very cool, today (or anytime) would be a good day to go make a donation of your discretion at the top of his page, and receive your copy of RMP2, his one synth that isn't free. It is a very useful and fun synth to have: filled with voice and pad combos with luscious ambient reverb. The sounds lend themselves to songwriting, tinker with a patch for a few minutes and I guarantee you'll be in record mode in no time. As you can see, his GUIs are always a blast, as well. I used RMP2 for the space-trumpet/pad sound in the break of "Lone", the lead ambient harp in the bridges of "Give It Unto You" and plenty of other choice moments throughout the last 2 releases. Comes with 2 banks stuffed with generous amounts of patches, and it's very easy to tweak. Finally - you actually get 2 synths since it is bundled with a fine organ vst - S30.